The build quality of the Melody gear is borderline faultless. Having been in manufacturing, I can tell you that real engineering went into designing the chassis. The 100 lb mono blocks have a sub chassis of thick aluminum plate, with half the fasteners pressed into the plate, meaning that the nuts or studs are “mashed” into the aluminum plate with inserter machines. The other half mate up to the fasteners that are inserted into the plate. I’m not sure what materials are used for the outer shell, but it’s very sturdy. The finish quality is extremely high, being in the top 10% of all that I’ve seen/felt/touched. I can assure you that an industrial engineer or someone who should be, laid things out and chose the correct fasteners for a first rate build. Internally, I didn’t see lots of “name brand” audiophile parts, but did see multiple chokes and transformers, which are an order-of-magnitude more expensive than fancy capacitors. I did however see Jensen capacitors. Most, if not all, resistors were wire wound, which is my preference for sound, stability and longevity. Being a heavy metal product (not proverbially), capacitors take a back seat. So far, the recipe reminded me of the Japanese Audio-Renaissance school: transformers, chokes and triodes! If there was a shortcut, it would be hiding inside the transformers themselves: transformers, more than meets the eye! The success or failure would depend entirely on the quality of the iron. Would I be reviewing Autobots or Decepticons? During the review process, I did inspect the circuit of the power amps, but not the preamp. I believe the power amp capacitively couples the two halves of the 6sn7 and the input of the 2A3. It appears that the 2A3 was transformer coupled to the 845. I didn’t take much time to pull out a pencil, paper and multimeter, as I did not want to divulge anything that Melody Valve would consider a “secret,” although the amp appears to be using 80-year-old techniques. Still, designers seem to be skittish about these things. I would encourage Melody to publish more details about the designs: transformer coupling, where transformers and chokes are used, whether parafeed or DC coupling is used, etc.. As it stands, there are people who want to buy transformer-heavy equipment, but don’t know that the 101 Preamp or PM845 amps make use of interstage transformers, input transformers, line transformers, power supply chokes, plate chokes, etc… It’s something inexplicably lacking in the marketing materials. I used the GR Research LS9 line-source loudspeakers, along with my old Maggies and GR Research Alpha LS speakers. 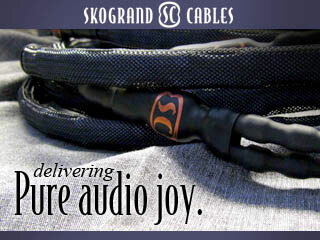 Interconnects were mix and match (for best sound) of Wireworld and Clarity Cable. I used various other sources, preamps and amps to get the feel for the individuality of the pieces under review. First, let’s talk about the Pure Black 101 preamp. I tried it with several pieces, in various combinations, and it proved itself to be very accomplished. While not as transparent as some other tube designs, it’s tonal quality and type of distortion were much more to my liking than most tube preamps employing the almost universally adopted 6H30pi “super tube”, the over exposed 12ax7, 12au7, 12at7 and every other similar variant, and the uneven sounding 6dj8. All the aforementioned tubes can sound good, but mostly sound colored, or worse, because of God only knows why, plus some electrical engineering stuff that I don’t pretend to know. I really haven’t heard a design that used the 6H30pi that didn’t have a harsh/brazen quality, although the 6n6p/6H6pi is a different story. There are more bad sounding designs for the 6dj8 than good ones. The 12ax7 is almost devoid of punch and transparency, especially when compared to the 6dj8 and 12at7. And, the 12au7, which is similar to the 6sn7, just sounds like the poor cousin to the 6sn7. The 6sn7, and its close variants, like the 7N7, 6cg7, 12sx7 and beefy 6BL7, almost universally sound good, and usually excellent. On occasion, they blow other tube types away. What I heard with the Pure Black 101 was very good image depth and dimensionality, with the preamp favoring a strong center image over a very wide soundstage. No problem with that. If you are a sound-effects aficionado, then a transistor design will be more to your liking. The tonal balance was to my liking. It blended with my system to give a very pleasing top-to-mid-to-bottom balancing, with perhaps a touch of roll-off at the extremes. Again, if you are into effects more than music, there are better choices. I will say that it did above the average for the tube designs I’ve heard. 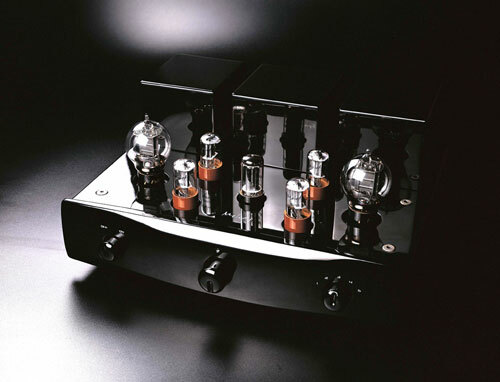 If tubes are your thing, you shouldn’t find fault with the tonal balance of the 101 preamp. Where the Pure Black 101 excelled was the amount and type of distortion it produces. The level of distortion was a little above that of a good transformer volume control, with more spurious noise. The electrical character of active circuits will always have some amount of noise that is not related to the musical signal. It seemed to be predominantly 2nd harmonic distortion, the kind that some people actually like, and the kind that is least offensive. This isn’t an indictment of the product. What I am saying is this: off the various distortions all active circuits introduce, this type of distortion is non-offensive, whereas other products have an edgy sound. The dynamics of the preamp were as good as, or better than, most tube products I’ve used. I suspect, but don’t know for sure, that a line output transformer is used. If so, it would explain its ability to drive any combination of cables and amplifiers that I tried to clean, punchy and loud output. This preamp’s macro-dynamics were superior to its micro-dynamics, as is the case with many tube products; generally speaking, the ability of tubes to swing large voltages is its strength over transistors, which run into hard clipping and nasty distortion much quicker than the prototypical triode. The preamp, as a whole, when including the ability to roll many types of 6sn7, the balanced inputs and outputs, the ability to tune the sound with different rectifiers, the remote volume control/mute, and very good build quality, is an excellent product on its own. Forget that it’s being paired with a single-ended amp in this review. It sounded good driving transistors and tubes, and had an excess of gain and good drive. It should be considered by anyone who likes its looks, and is predisposed to enjoying the sound of the 6sn7.